Home • News & Events • News • RAMW Blog • Market Your Restaurant to THOUSANDS of DC Visitors in 2019 with Events DC! 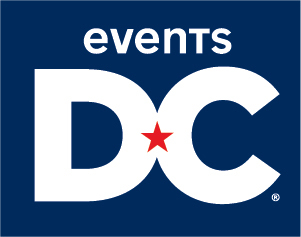 Market Your Restaurant to THOUSANDS of DC Visitors in 2019 with Events DC! As we kick off another great year, Spring is right around the corner and DC has THOUSANDS of visitors preparing to descend upon our city looking to spend time in YOUR restaurant during four upcoming conferences taking place at the Walter E. Washington Convention Center in the first half of 2019. Through our partnership with Events DC, RAMW is able to extend exclusive FREE advertising opportunities to help drive event attendee traffic to our restaurant members! What Does My Restaurant Get Out Of It? Please note: Providing visitors with a special offer/discount is NOT required to participate in these digital marketing opportunities. RAMW and Events DC will help promote your restaurant as an official dining partner to event attendees, and folks who come into the District looking for suggestions on where to refuel during their visit! To be featured in one, some, or all of these FREE advertising opportunities during each event listed below, please email cristina@ramw.org by each of the corresponding deadlines listed below (or opt-in for all four up front now so you don't forget later! ).